Punctuality, quality and convenience are our strengths. We have been on the market for over 50 years and the experience gained has allowed us to support our customers as true partners. The shell foundry of our property allows us to be flexible and dynamic in dealing with the most varied requests of our customers. 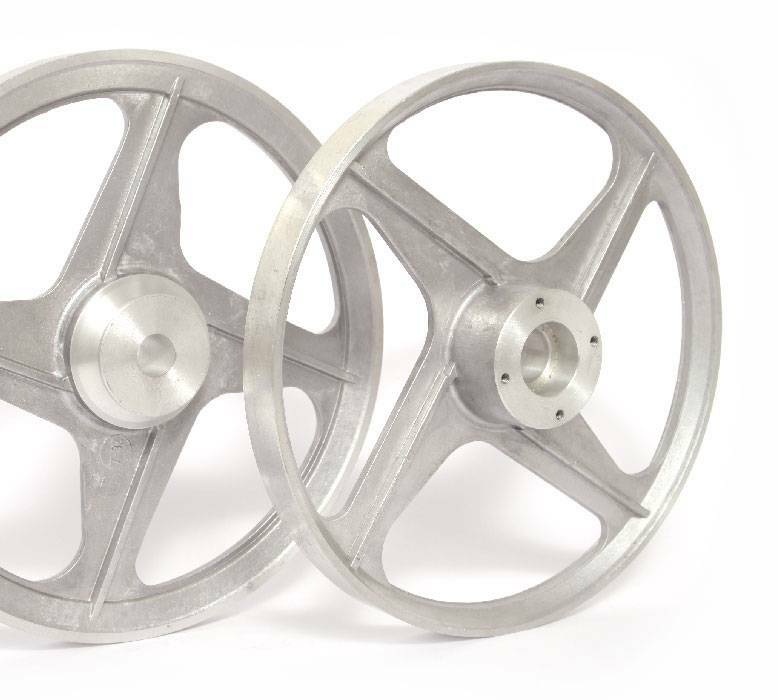 We produce various types of pulleys with and without throat and not only; hubs flanges fans pulleys and anything else that can be cast in a shell mold. The turnery boasts a vast fleet of machines made up of latest-generation numerical control lathes, broaching machines, drills, balancers, and allows us to perform all the turning and finishing processes of our semi-finished aluminum products. The storage area kept at the disposal of our customers and systematically fed by a wide range of standard sizes allows us to deal promptly with all requests for both large and small quantities. Since 2005 we are ISO 9001 certified.